OPEN HOUSE Saturday July 15th 12-3pm & Sunday July 16th 1-4pm! Great condo close to the Domain! Two bedrooms plus office and two full baths! Custom cabinets and Corian countertops in kitchen. The living room has a vaulted ceiling and a brick fireplace. 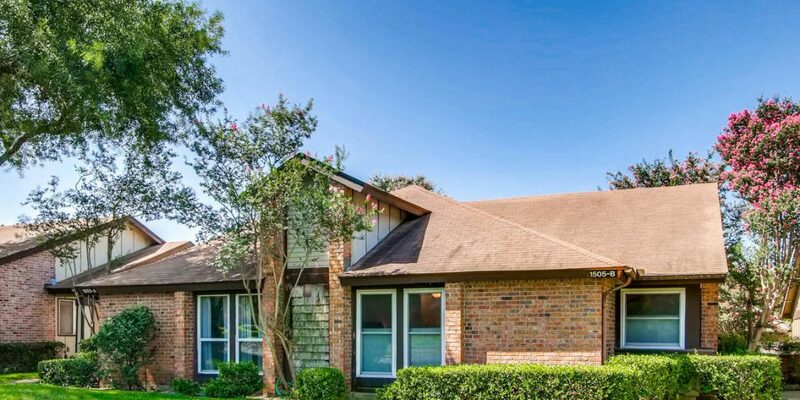 Laminate flooring; french doors open to a private courtyard; custom window coverings; one car garage; updated dual pane windows; and ceiling fans in each room. Refrigerator, washer and dryer convey. All for under $170,000!